Create an identity system based on the company's original essence. Design a series of products with the new identity system.  Cash & Puppy is a clothing brand created by fashion designer Karen Hsu who grow up between Taipei and Los Angeles. Karen blends her independent spirit and confident attitude into the brand. She develops chic and simple designs that are not only full of details and flexibility but also stresses the importance of materials and garment quality. Inspired by a laid-back California lifestyle, I created a graphic identity which is simple and casual to represent the brand soul, Cash & Puppy believes being comfortable is the key to being confident.